We are engaged in manufacturing, supplying, and exporting of Uricha Urine Chemistry Analyser that is assembled using the finest quality components. Our Uricha Urine Chemistry Analyser is considered as an ideal choice for the chemical analysis of Urine. 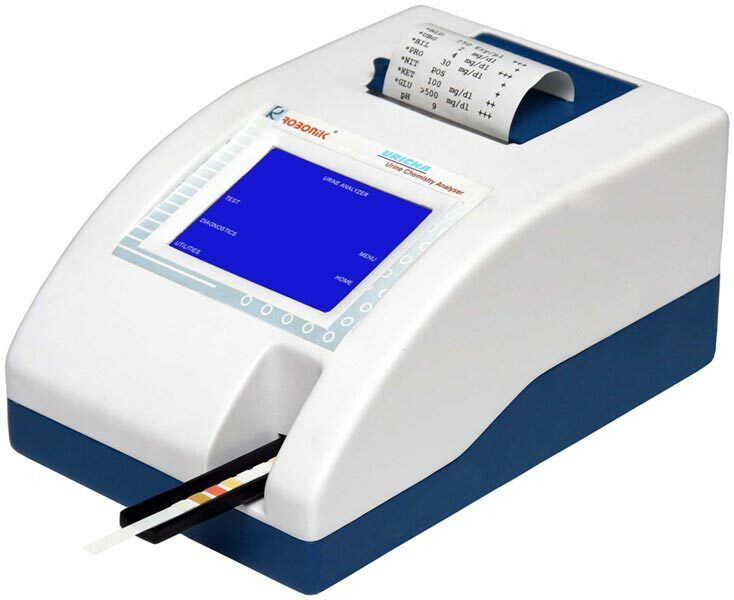 The Uricha Urine Chemistry Analyser, offered by us, is widely appreciated in the market due to its accuracy in analysis. Moreover, our clients can avail it at the market leading prices from us.